Ajit Pai may not be a household name, but he could end up changing the Internet for American households. President Trump officially picked Pai on Monday to serve as the next chairman of the Federal Communications Commission, the agency that reviews media mergers and broadcast licenses. 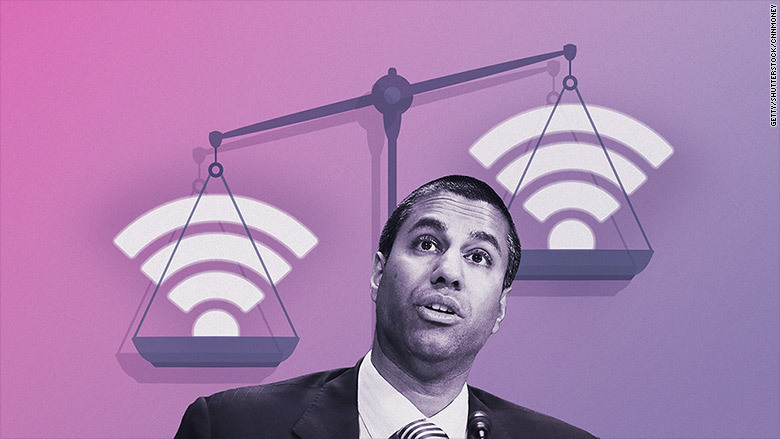 But it's Pai's opposition to existing net neutrality rules that worries many in tech and media most. 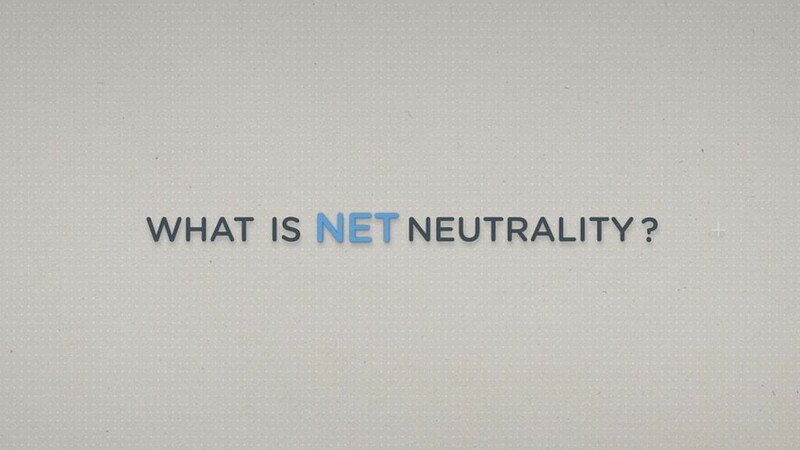 The net neutrality rules, approved by the FCC in 2015 amid an outpouring of online support, are intended to keep the Internet open and fair. As written, the rules prevent Internet providers like Comcast (CCV) and AT&T (T) from deliberately speeding up or slowing down traffic from specific websites and apps. In short, they're intended to prevent providers from playing favorites. When the rules were first approved, Pai criticized it by quoting Emperor Palpatine from Star Wars. After Trump's victory, Pai said he believed a change was finally coming. "On the day that the [rules were] adopted, I said that 'I don't know whether this plan will be vacated by a court, reversed by Congress, or overturned by a future Commission. But I do believe that its days are numbered," Pai said in a speech last month. "Today, I am more confident than ever that this prediction will come true." For those who take for granted that the Internet just works, all the fuss around this issue may be confusing. But longtime net neutrality advocates warn of dire consequences for businesses and consumers if net neutrality is weakened or overturned. It's about "allowing consumers to pick the winners and losers and not [having] the cable companies make those decisions for them," says Michael Cheah, general counsel at video site Vimeo. If net neutrality is walked back, an Internet service provider like Comcast could potentially allow its own video content to load faster than competing content on a service like Vimeo. Alternatively, it could force Vimeo to pay more to get its content into the Internet's fast lane. "[Imagine] sitting home on a Friday night and planning to stream a movie or a television show and then to have that buffer or not work," Cheah says. "When you don't know why that's happening, you blame the service -- the Netflix or YouTube or Vimeo. If it's not caused by them, that's a problem." Even with the rules in place, telecoms have been accused of flouting the spirit of net neutrality. AT&T, for example, unveiled a streaming video service through DirecTV that doesn't count against the customer's data limits. Disclosure: AT&T has agreed to acquire Time Warner, the parent company of CNN. The deal is pending regulatory approval. "It's the small businesses that are creating new services online and creating jobs that will be at risk because they may not have the financing or the power that a big conglomerate like Google or Netflix has to protect themselves," says Chris Lewis, VP of government affairs at Public Knowledge, a tech advocacy group. This was the fear that prompted nearly four million comments to the FCC on the proposed net neutrality rules, setting a record. Net neutrality supporters also staged protests online and offline. Advocates of net neutrality have been bracing for a renewed fight ever since Trump won the election. Trump himself has said little about the issue, other than a single confusing tweet in 2014. But within weeks of his victory, Trump named several advisers to a "landing team" tasked with handling the transition at the FCC. They all oppose net neutrality. "Unfortunately, the fight for an open Internet never ends," says Timothy Karr, senior director of strategy at Free Press, one of the groups behind the previous fight for net neutrality. "With Pai as chair of the FCC, we'll undoubtedly need to amplify our efforts." The FCC's five-member board, which will likely be made up of three Republicans and two Democrats, can move to roll back regulations on broadband providers. A Republican Congress could also approve legislation that does the same, knowing it likely has the support of the president and FCC chairman. "The good news," Karr adds, "is that millions of people on both the left and right are willing to take action against net neutrality foes in Congress and at the FCC."